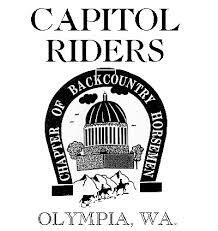 Capitol Riders chapter of Back Country Horsemen of Washington (BCHW) located in Olympia Washington USA. Be sure to check out our Events page on the website. See our website and Facebook page for more details and join us!